This stunning property is located in a pleasant and wooded countryside close to the loops of the river Seine, on the Paris-Deauville route. The property is well served by motorway and train. Paris is 150 km (93 mi) away. 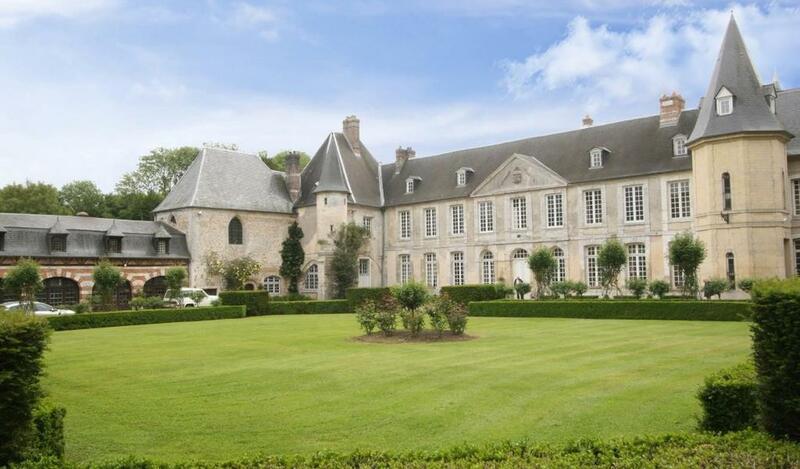 This french chateau for sale, parts of which date back from the 15th century, was enlarged in the 18th and 19th centuries. 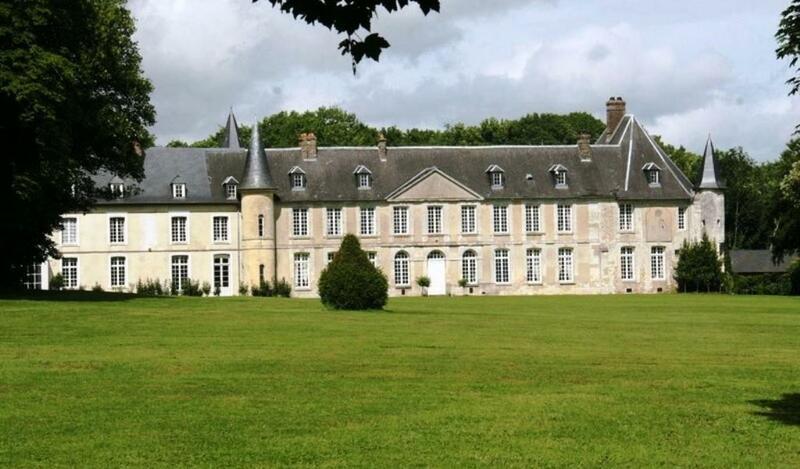 This is a high quality chateau with an attractive shape. On the ground floor : main entrance, back entrances, several sitting rooms and adjoining reception rooms, study, billiard room, large dining room, kitchen. In a wing : vault, scullery, fruit room, boiler room and workshops. On the west end, communicating with the chateau: an indoor swimming poll (8 x 4 m) with toilets. On the first floor : stunning chapel with original wall paintings depicting the Evangelists, the last judgment and characters of the Old Testament. And, accessible by the main imposive staircase and by two other staircases : 8 bedrooms, 4 bathrooms, 2 shower rooms, dressing room, several toilets. On the second floor, on a converted part : 4 bedrooms and a shower room; the rest is an attic with, in its oldest part, an impressive framework in the shape of an upside down boat scull. In a wing, linen room and utility. Wine vaulted cellars. Most of the property is wooded but there are a few meadows for horses, for example. Walled garden. French-style garden. Vegetable garden with a canal. Everything is well laid and delights the eye. The chateau, the outbuildings and the chapel are registred on the additionnal inventory of historic monuments, or listed as historic monuments.